I am taking a little break from the blog while the end of my fall semester approaches. My studies need to be concentrated on right now and I am sure you all understand. So I thought I would give a sneak peak on what my office looks like. It is not finished, and there is much more to get done. But, it’s a start. I am very thankful I have a dedicated area to work at. I have discovered that it does not matter how organized your desk or computer are, that you are not organized fully until you have a set schedule for yourself. This has been hard for me. Sure, I am a college student but I am also a mom and a wife. There is a lot to juggle there. My top priority has been getting my office set up. With my office set up, other things can fall into place. It will make it so that when I have 15-20 minutes free, I can sit down and write or research. That is my two cents. I am praying that my schedule will work over the weekend so I can get a short finished and have a beta look it over. 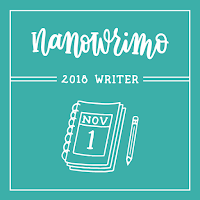 I have decided that while I can not commit to the time that NaNoWriMo requires, I can do a short story. Thankfully, the folks over @buddhapuss have a writing contest that is open from now until December 31, 2011. Their writing contest is YA Mystery Shorts 2011. 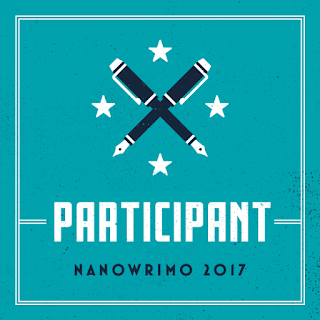 To my fellow writing friends, let me know if you are entering too. I have started this journey before, only to stop for one reason or the other. I imagine those that have known me for a few years have reached the point to thinking that I will never really write the words in my head down on paper. I am concerned with my crazy schedule of actually being able to get anything done. So I will go one small step at a time. This weekend I am working on a short story formally known as the epilogue to the novel in my head. I am hoping to have a friend or two (hint hint) beta it for me and then I will do any revisions needed. Hopefully in a couple weeks e-publish it and see how the interest goes. I may even do a give away on my Facebook page. Maybe.